So I started screwing around with my old Ikan FF (which has a lot of backlash btw) and noticed that with a few modifications I might be able to build a wired handgrip FF myself for little money. Was anyone ever successful in detaching one of the handles of the Lanparte handgrips? I tried it, but wasn't able to. If I could detach the left handle somehow I would try to rework it to fit the whip through or build an entirely new grip to be attached to the Lanparte handles. The focus knob obviously shouldn't be where it is right now, but I just wanted to figure out how it could work. I plan to put it back to its usual place and attach a female adapter (I am not sure if you call it that way in English) to the gear itself. You can detach lanparte handles with an hex key, there is a bit a blocking glue at the end of the screw course so you'll have to apply a bit more force to remove it completely. @duch thx. It really was the blocking glue. cant wait to see the finished product! So far, it looks quite simple. I detached the grip, turned the joint around and took the big screw out so I was able to get the whip through. 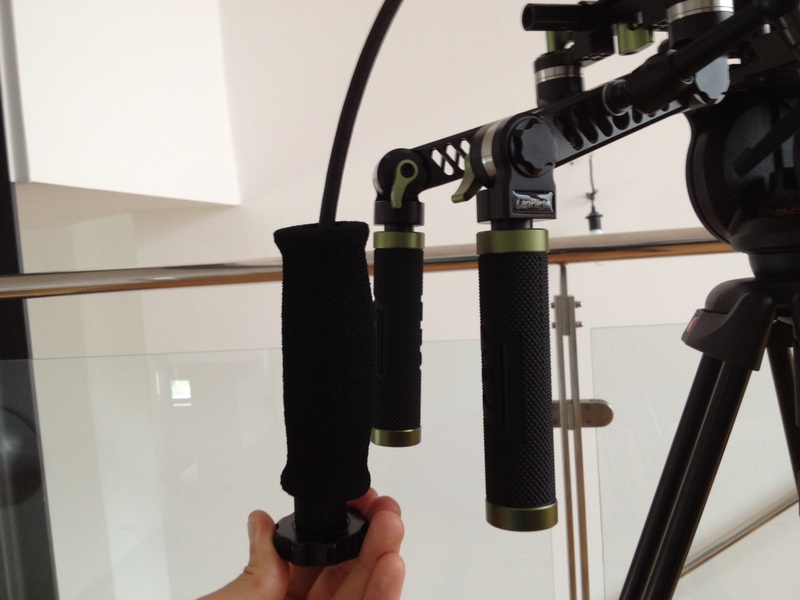 1) Build a fixed non-moving handle with a thumb focus wheel or 2) Build a "Focus grip" which is fixed to the focus whip. can you make a bracket around the top of the handle so that the whip handle actually faces the operator and can be operated clockwise and counterclockwise with the thumb and index finger? @tvglabs I think what you mean is exactly what I was thinking of. I have to talk to a friend first who could drill such a custom bracket for me. I will wait for my new Lanparte FF though and test my ideas on that one as well. Maybe then I'll strip down the Ikan FF to a "grip-FF only" (thus lighter). Honestly, the first time I saw a follow focus, I thought of the exact concept Zacuto did. Why have your hand on a follow focus when you can just run a whip down to your handles and control there! They ripped the idea right out of my head. Stop by his place if you're in the area. They basically tailor-build you a shoulder rig. He equated it to getting fit for a suit. @B3Guy unfortunately, I don't live anywhere near this guy, but thanks for the advice! Do you remember if he used something like a thumbwheel or a twistable grip for his rigs? the whole grip twisted, actually, and the whip just plugged into it at the top. He uses it mostly with a second stationary grip right next to it, but he said he has some customers that use it just by itself. I did some testing the past few days and I am worried that a twist grip would cause focusing problems if you move a lot. Right now I prefering a thumb wheel, even though that makes the whole project a bit more complicated. That's what I would do . . . some sort of mini thumb-able rotary dial. Talked to a friend who has access to cnc drilling and milling machines. He'll build a bracket that will hold the grip and allow a focus dial to be on top. I am really excited about the outcome. can't wait to see it in action! Got the new Lanparte FF today - it's awesome! 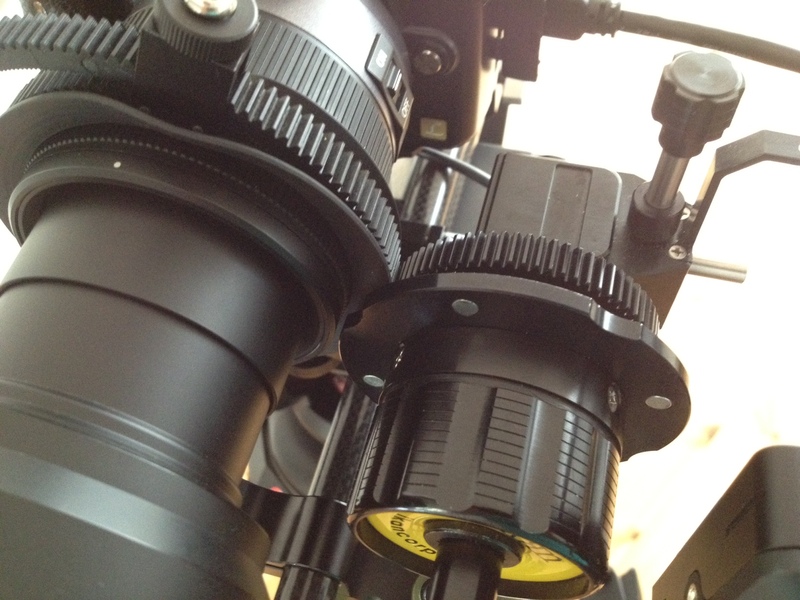 Only one minor adjustment has to be done to this follow focus to make the grip work well. Here is another take on the Follow Focus, which I found on Kickstarter today. I have no connection with it. @ahbleza I like that simple approach to it, yet mine is focused on producing something that is more comfortable for long hours of shooting from your shoulder (at events for example) also with my company's AF101. Also, the focus knob will still be there for more precise focus racks on a tripod. Hopefully, I received to reworked grip before I go on vacation to show you guys what I mean. My friend drop off the new custom focus grip today! Well, It didn't look exactly how I wanted it to be (I wanted the wheel to be inbetween grip and handle joint), but I think it will do its job. If I got time next week I#ll modify my new Lanparte FF to work with it. @Tobsen looks cool, please update on the progress. My hope is that at some point, a cheaper version of the redrock micro focus products will be on the market. I like the thought of adjustable resistance and sensivity of the focus knob wheel to different lens types etc. @evero thanks. I looked at some motorized FF's as well. For sure, that would be the best solution, but too expensive right now. 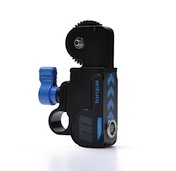 I just ordered the Hondo Garage follow focus (aka the Fifty-Dollar-Follow-Focus) which got the ff which plug directed towards the front, which is perfect for my application. WIll post final pictures soon. I’ve been thinking about this idea for a very long time. I think using a motorcycle twist grip and in the middle of the grip do a 12mm follow focus insert. But then You’d need male plugs on both ends of a whip, not sure where to get that. 3D print a smaller tube that extends it up with a 12mm insert.